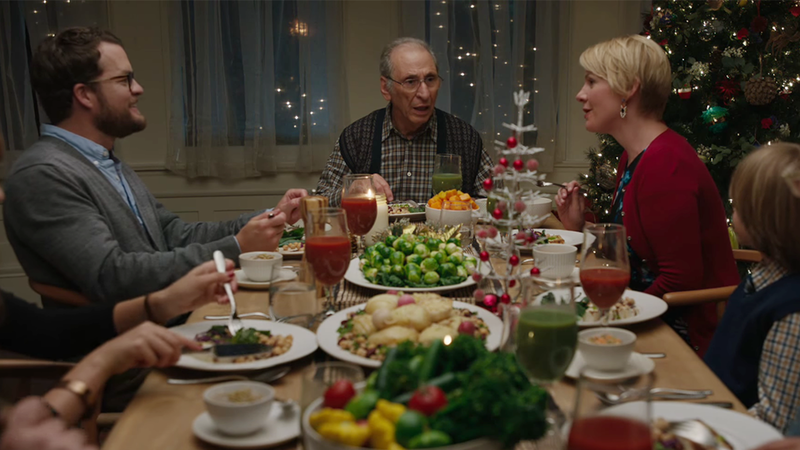 Hallmark might be trying to break your heart before the holidays because watching Grandpa being forced to forego ham in favor of a tofu brick is enough to make even a vegan say bah humbug. The scene is one of six new digital-only spots promoting Hallmark's latest line of Keepsake ornaments. The brand, known for its "Hallmark moments," is taking a more humorous approach to the 2015 season. The 30-second spots, created by Chandelier, have a tone much like TV's Modern Family and show the imperfect moments many relatives can relate to. "They do have a little bit of a bite to them, and I think people will be excited to see this sort of humor come from Hallmark," said Chandelier creative director Michael Scanlon. It's the first time Hallmark has taken an all-digital approach for Keepsake during this high-stakes time of year for sales. But the brand is betting big with its shift away from traditional TV time, investing in not only the clever commercials but also a full-blown digital microsite highlighting the artists behind many of the 400 ornament designs available this year. "Our ornaments are a 3-D scrapbook of memories that tell the story of consumers' lives," said Ann Herrick, marketing director for omnichannel marketing at Hallmark. A key component for the brand this year is a new partnership with Snapchat. Hallmark is sponsoring a geofilter for anyone taking photos and videos with the app at the main public Christmas tree displays in the top 20 markets across the U.S. Anyone within a distance of two football fields will be able to use a custom filter. "When they make their pilgrimage downtown and take the obligatory photography in front of the Christmas tree, we can be a part of that," Herrick said.